A sedative is often needed to put them at ease during dental treatment. Conscious sedation is an excellent way to treat dental anxiety so your dentist can get to work on your teeth! 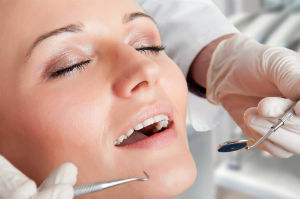 Conscious sedation dentistry allows you to enter a state of relaxation while staying awake during the procedure. Although you won't feel any pain, you'll be able to respond to your dentist's questions and commands. As communication is key with any dentist-patient relationship, conscious sedation is an excellent option for fearful dental patients. Nitrous oxide, or laughing gas, is considered a light form of dental sedation. Your sedation dentist will administer the nitrous oxide though a mask that's placed over your nose. The gas is inhaled through the nose and expelled through the mouth. When the procedure is over, the nitrous oxide wears off almost immediately with minimal to no side effects or recovery time.